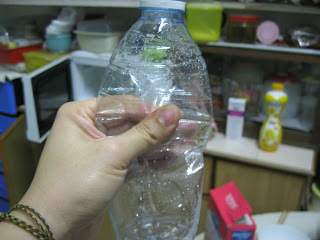 Prepare one empty mineral bottle. 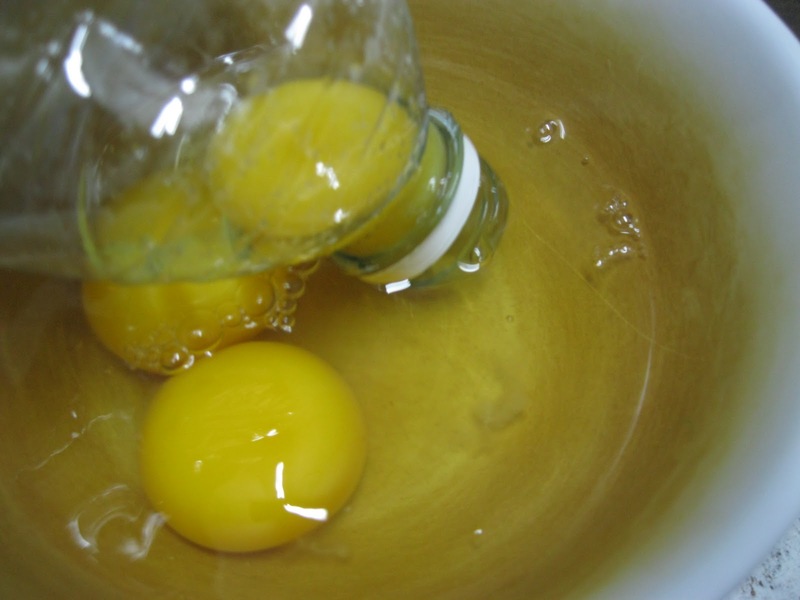 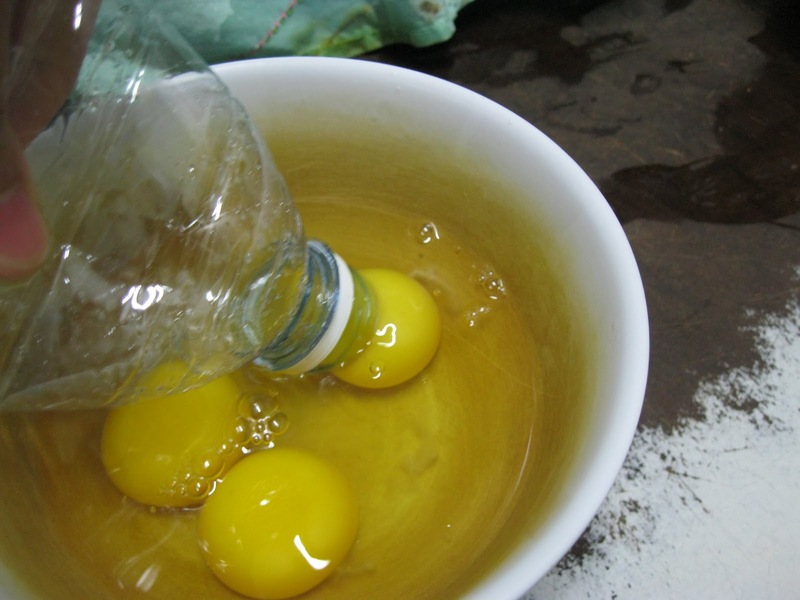 Put the bottle on the egg yolk. 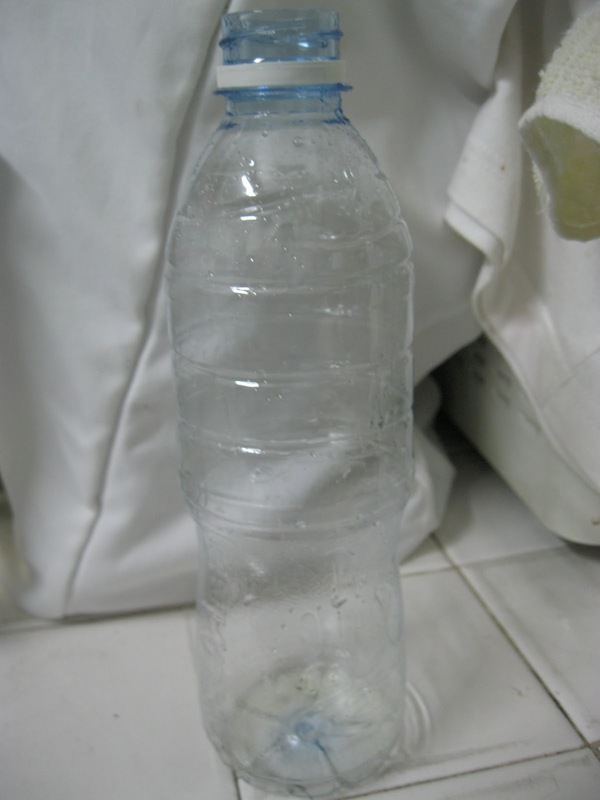 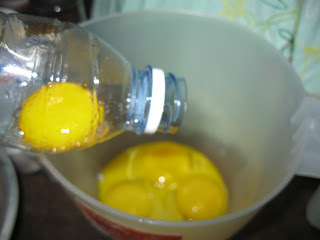 Release the bottle and you will see the egg yolk will go inside the bottle. 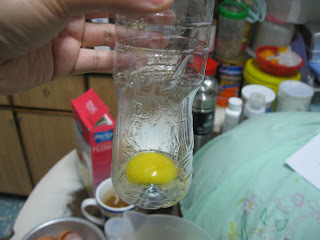 See the egg yolk already inside the bottle..
BTW, why is ur blog categorized as "adult content". I have to go through the "screening" each time I come here, hahaha! Yes I am 21 and above. Sweet potato Tung Yuen in ginger sugar syrup..